Fans of the 'Classic' experience are going to experience formal PvP not on launch, but is to be expected soon after. After Blizzard's formal announcement of its content plan for World of Warcraft Classic (to be rolled out in six phases) last month, the developer expanded on details regarding its specific plans for PvP, which is a big draw for returning players. 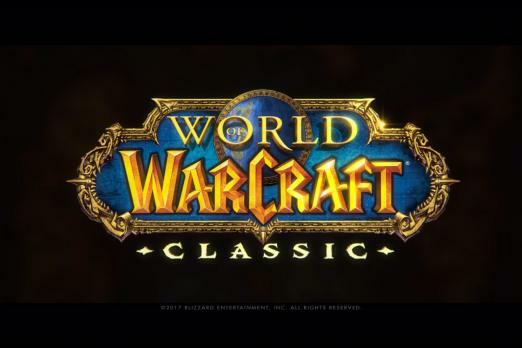 "As was the case when World of Warcraft originally launched in 2004, there won’t be a formal PvP system in WoW Classic at the outset," states Bornakk, a community manager for the Blizzard forums. "You’ll still be able to PvP, of course, and there will be no Dishonorable Kills, so you’ll be free to repeatedly hunt down every player and NPC in, say, Stranglethorn Vale to your stealthy heart’s content." What this basically means is the absence of the Honor System during the first phase of the game. Without a PvP system in place during this period, players will be free to kill other players to their heart's content, due to there being no consequences in the form of Dishonorable Kills. The second phase of Classic formally introduces the Honor System and the PvP Rank Rewards. Although these rewards will be available for the 1.12 version, Blizzard stated that "it will require a substantial time investment to rank up through the Honor System." Phase three sees the Alterac Valley and Warsong Gulch battlegrounds, as well as their associated vendors. Some items will not be immediately available, though, and will be more in line with the subsequent patches Blizzard rolled out for the original World of Warcraft. For example, the Spell Penetration trinkets from the Warsong Gulch vendor were only introduced in the 1.9 patch, so in line with this, we may as well expect to see it sometime during the fifth phase, according to Blizzard. Phase four sees the introduction of the Arathi Basin battleground, as well as its specific vendor. The sixth phase is expected to include the world PvP objectives in Silithus and Eastern Plaguelands, which comes out roughly around the same time as Naxxramas. Phase 1 (WoW Classic Launch) - You can PvP one another in the world, but there is no tracking, and no formal rewards for doing so. Full details are expected to come out as the release date draws for Classic draws nearer.